1. 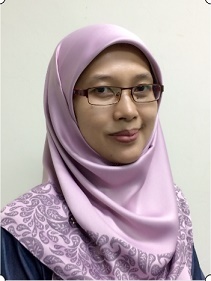 Norhaida Mohd Suaib, Abdullah Bade, Dzulkifli Mohamed (2012). “Hybrid Collision Culling by Bounding Volumes Manipulation in Massive Rigid Body Simulation”, The 1st International Conference on Interactive Digital Media, 3-4 December 2012, Bayview Hotel, Langkawi, Malaysia. 2. Lim Kok Cheng, Iznora Aini Zolkiply, Norhaida Mohd Suaib (2012). “Evaluating the effects of improved collision handling method in Virtual Reality Musical Museum based on user experience measurement”, The 1st International Conference on Interactive Digital Media, 3-4 December 2012, Bayview Hotel, Langkawi, Malaysia. 3. Hamzah Asyrani Sulaiman, Abdullah Bade, Norhaida Mohd Suaib (2010). “Balanced Hierarchical Construction in Collision Detection for Rigid Bodies”, 2010 International Conference on Science and Social Research (CSSR 2010), art. no. 5773702, pp. 1132-1136, Kuala Lumpur, Malaysia. ISBN: 978-1-4244-8986-2. 4. Hamzah Asyrani Sulaiman, Abdullah Bade, Norhaida Mohd Suaib (2010). “Fast Traversal Algorithm for Detecting Object Interference Using Hierarchical Representation between Rigid Bodies”, Second International Conference on Computer Research and Development 2010 (ICCRD 2010), pp.7-11, Kuala Lumpur, Malaysia. ISBN: 978-0-7695-4043-6. 5. Hamzah Asyrani Sulaiman, Abdullah Bade, and Norhaida Mohd Suaib (2009). “Bounding-Volume Hierarchies Technique for Detecting Object Interference”. 2009 Second International Conference on Environmental and Computer Science (ICECS 2009), Dubai, UAE, Dec 28-30, 2009. ISBN 978-1-4244-5590-4. 6. Norhaida Mohd Suaib, Abdullah Bade, Dzulkifli Mohamad, Hamzah Asyrani Sulaiman (2009). “On Faster Bounding Volume Hierarchy Construction for Avatar Collision Detection”. 2009 International Conference on Graphic and Image Processing (ICGIP 2009), Kota Kinabalu, Malaysia, Nov. 13-15, 2009. 7. Rafidah Abd Rahim, Norhaida Mohd Suaib, Abdullah Bade (2009). “Motion Graph for Character Animation: Design Considerations”. 2009 International Conference on Graphic and Image Processing (ICGIP 2009), Kota Kinabalu, Malaysia, Nov. 13-15, 2009. 8. Norhaida Mohd Suaib, Abdullah Bade, Dzulkifli Mohamad (2009). “Improving Avatar Collision Detection Performance for Virtual Environment Applications”. Proceedings of the 2nd International Conference On Advanced Computer Theory and Engineering (ICACTE 2009), Cairo, Egypt. September 25 – September 27, 2009. Vol.26. ISBN: 978-0-7918-0297-7 ASME Press.